So you just bought a new home in a distant state, or maybe you found an apartment on the opposite coast and need a long distance moving company to safely transport your things across the country. 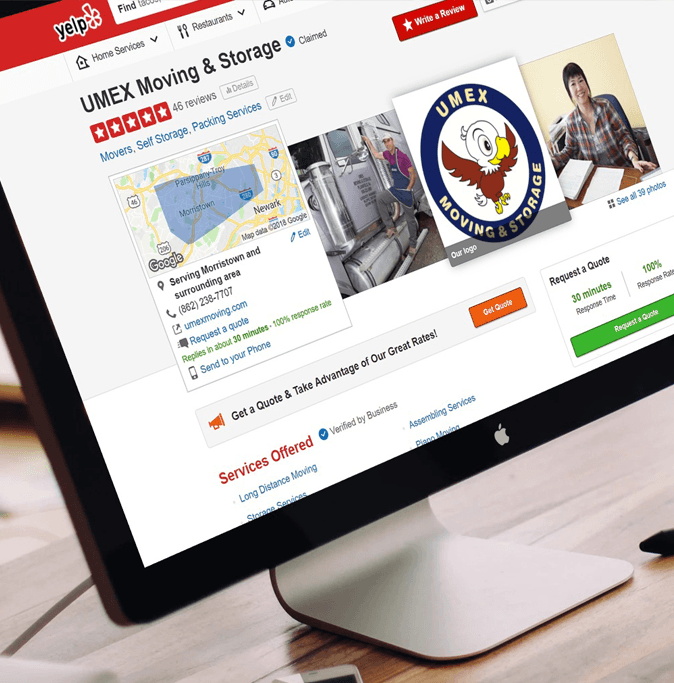 Whether you are moving to MOrristown in New Jersey from the West Coast, or you are currently residing in Middlesex County and are planning on transferring to a location in Texas, UMEX Moving & Storage is the wisest choice for your long distance residential move. Moving is always a stressful and time-consuming process, regardless of whether you are in the city of Clifton or the rural areas of Bergen County, NJ. At UMEX Moving & Storage, we specialize in moving, packaging and storage services to help our clients better coordinate your move and keep anxiety at an all time low. Our Gold Standard long distance moving company offers three levels of door-to-door service in Middlesex County, Hudson County and more. We firmly believe in providing the best customer service possible, at the most affordable prices you can find for any packing company. We will assist in planning your move down to the smallest detail to ensure that wherever you are headed, you know exactly what to expect. All you will have to do once you arrive at your new residence is unpack your boxes and call it home! 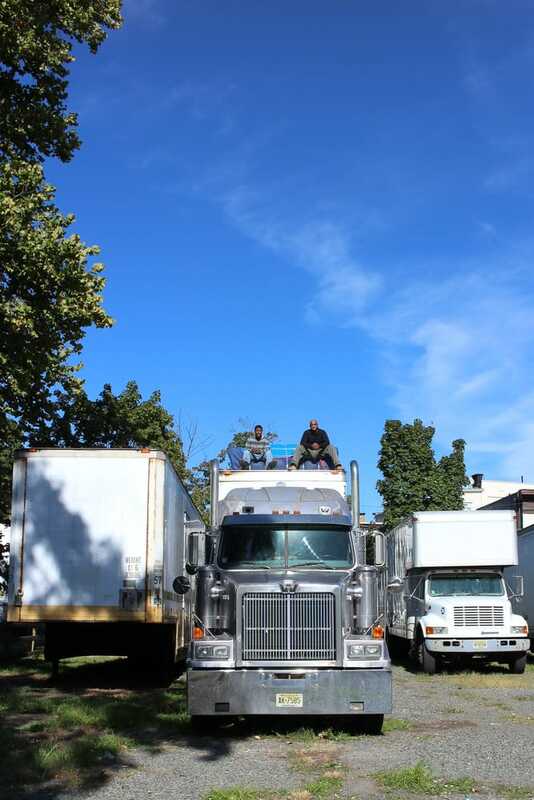 If you have a lot of belongings to transfer, or even if you just want the guarantee of a dedicated truck, our NJ residential movers at UMEX Moving & Storage can arrange for you to have one of our exclusive long distance moving company trucks to transport only your goods. Have you heard the call of the road? If you want to rent a truck and drive long distance yourself, we have loading services at your departure point and unloading services at your destination. We will disassemble your furniture if required, wrap it well and secure it in the truck ourselves. The amount of time for each delivery may vary, but a general rule of thumb is that deliveries from NJ or Manhattan to the West Coast take between five and ten days. Deliveries to the Midwest typically take one week. Deliveries to Florida average between two and seven days. Our long distance moving company offers customers in Hudson County and the surrounding regions approximate delivery dates based on the unique circumstances of each move. We will always attempt to accommodate requests for specific delivery dates. If long distance driving isn’t for you, UMEX Moving & Storage can get your vehicle to your destination for you. Our movers will ship your car to your new home in time for your next grocery run. To keep costs at a minimum and to improve our efficiency, UMEX Moving & Storage offers a shared truck service that utilizes a large semi-trailer truck to accommodate multiple customers moving from Clifton or Bergen, NJ, as well as any other towns in our service area. Our movers will ensure that all of your valuables are identified and separated, so there are no mix-ups along the way. We have a flat-rate fee, so you won’t have to worry about overpricing. When our foreman visits your house in Union County, he will conduct a complete inventory of your shipment. Each item is listed individually, with a detailed description that includes its state of repair. Your shipment will be given an item number, a lot number, and a unique color code. Each customer’s shipment is kept separate in the truck so that there is never any confusion. All of our vehicles are equipped with the latest GPS technology, which means we can track your goods at all times while traveling. You will be able to tell exactly when your items leave your current residency and follow them as they head towards your new home. We reassemble, unwrap and place furniture wherever you designate. We will also carefully put boxes in the right rooms. All you have to do is unpack your boxes after we leave. Are you not sure where you’ll be living? Have you been bitten by the travel bug? Or are you on an overseas assignment? UMEX Moving & Services can store your belongings in our secure storage facility while you look for the perfect home, travel the world or take that dream job. After your move, we will reach out to you—we want to hear what you have to say. Tell us about your moving experience with our residential or commercial movers in NJ, and if at any point in your move we didn’t live up to your expectations, we encourage you to let us know. We continually work to improve our services, so that our New Jersey, Pennsylvania and New York customers will continue to receive the care we pride ourselves on and are known for in the region. If you are satisfied, we always like knowing what we are doing right too! For tips on packing, see our Moving Tips.